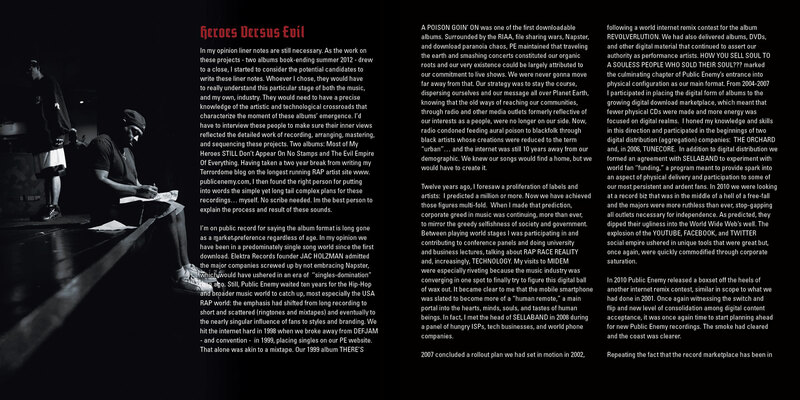 In 2012, Public Enemy asked nvzion to once again have the honor of designing their new album. We collaborated on the project with the talented illustrator Adam Wallenta. Since we were working with an illustrator we wanted to let his work shine, while also incorporating it in a way that integrated seamlessly with the typography, allowing both to feel natural together.